Sri Lanka sold $2.4 billion in five-year and 10-year U.S. dollar-denominated bonds on Friday, according to a term sheet seen by Reuters, successfully tapping the international markets at a time the country is facing strains on its finances. Alumex PLC, Sri Lanka’s premier integrated manufacturer of aluminium extrusions, is gearing up to showcase its vast catalogue of products, including the very latest Alumex proprietary doors, windows and facades, at the upcoming Architect 2018 Member’s Work and Trade Exhibition, taking place at the BMICH from February 22-25. Attesting as its second and successive attempt at bringing major property developers, investors, all kinds of different projects under one roof, LankaPropertyWeb.com hosted the ‘Lanka Property Show 2018’ on February 16th and 17th at The Kingsbury Hotel, Colombo. Ekroma’s one-of-a-kind real estate projects are generating a buzz in the industry for being truly path-breaking in every sense. The deadline for applications for National Skyline Awards has been extended till February 26th 2018. An honours-board that recognises the most outstanding real estate and infrastructure developments in Sri Lanka and their initiators gets off the ground with on-line entries for Sri Lanka Skyline Awards are now open. On the happy occasion of the 39th anniversary of the Islamic Revolution, it is a great honour for me to share with you the joy of the Iranian people on this momentous occasion. There is a need to bring in new aspects like automated processes, advanced practice management tools and forensic in audit to enhance audit quality as auditors are facing new challenges in performing audits, said Jagath Perera who was inducted as the 24th President of Institute of Chartered Accountants of Sri Lanka (CA Sri Lanka), last week. The Developer of luxury condominium ‘447 Luna Tower’ Union Place Apartments (Pvt.) Ltd, a member of Belluna Co. Ltd, Japan, in alliance with Asia Capital PLC, partners with leading banks to offer buyers special rates. Landmark Developers, Sri Lanka’s new property developer with innovative concepts and ideas for modern homes, has launched ‘Comfort Dwellings’, a brand-new affordable housing concept for the new year. Blue Ocean Group and its leadership were duly recognised with top international honours yet again when the group was recognised as one of Asia’s greatest brands under the Emerging Brands category. Softlogic Properties (Pvt.) Ltd, a fully owned subsidiary of Softlogic Holdings PLC, brings city dwellers affordable luxury apartments in Colombo’s most prestigious residential area- De Fonseka Road, Colombo 04, featuring 25 well thought-out eco-friendly dwelling units on six floors, ranging from one to five bedroom spaces. 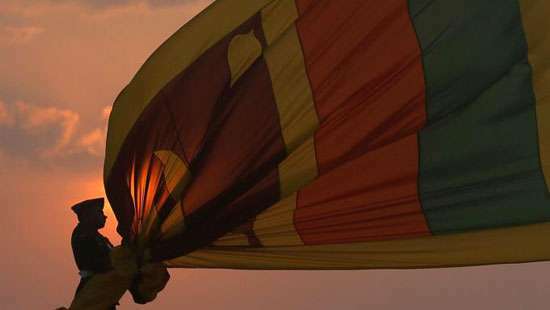 Sri Lanka is widely acclaimed for its success in achieving many crucial human development indicators. However, surprisingly the country lags behind when it comes to achieving gender-related targets set by global development agendas. Celebrating their success at Asia Property Awards ceremony in their annual gathering, Home Lands Skyline held the launch of Ariyana Resort Apartments Residencies, Athurugiriya and Sparkles Skyline Residencies, Malabe, with a total of 423 new units under their wings. Leading manufacturer of energy efficient Sandwich Panels and high quality Zinc Aluminium, Metecno Lanka (Pvt.) Ltd, has yet again contributed to the construction industry by investing in a brand new continuous panel line for mineral wool (rock wool) sandwich panels. As the country shows unprecedented progress in terms of economy, infrastructure and technology, Sri Lanka has been able to foster many job opportunities, especially in the service sector and the hotel industry. Bringing life’s luxuries under one roof, construction of the Lily Residencies luxury apartment complex commenced recently in Nugegoda. We are experiencing more stress today than ever before in human history. And, it is costing us. The World Health Organisation identifies stress as the second leading cause of disability worldwide costing the world economy US $ 287,956,200,000.00 every year. The Intrinsic Leadership Academy has launched an informative website on leadership. It explains how to develop leaders who can sustain organisational success in an increasingly turbulent world. 15 Days of Love At The Hilton Colombo! Granite Capital (Pvt) revealed their plans for Sri Lanka’s first ever independent living community, Catalina Koggala, which is about 5-star luxury living experience for those over the age of 55. Formed by a small group of high net worth investors—while Granite Capital retains majority ownership—the birth of Catalina will address a void in the market for deluxe independent living lifestyle.